At the Surgery Clinic of Philadelphia, we are committed to providing you with outstanding, compassionate care when it is determined that surgery is the best option for treatment and recovery. Our team has extensive experience in performing a variety of surgical procedures. 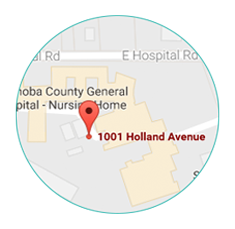 You can elect to have your surgery close to home at Neshoba County General Hospital. From same-day to general surgery, you can expect a positive experience and an exceptional level of care. 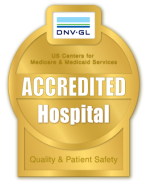 We believe it's important that you know that patient safety, comfort and satisfaction come first. You may also be required to complete some lab work, perhaps have an x-ray, follow a special diet, shower with a special soap, etc. A clinic nurse will provide you with precise detail on what time to arrive at the hospital on the day of surgery and all special instructions will be provided at the time of your office visit. We will also coordinate your surgery detail with members of the hospital's surgery staff. Below is a general listing of surgery we can accommodate. If you have a specific question about a procedure, we invite you to contact us for more details. The majority of surgeries performed are same day surgery or limited stay procedures. This enables a person having outpatient surgery to be admitted in the morning, undergo the procedure, and return home the same day. 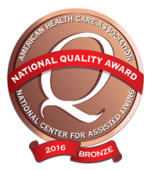 Thank you for choosing Neshoba County General Hospital. We want you to know that patient safety, comfort and satisfaction come first. You may also be required to complete some lab work, perhaps have an x-ray, follow a special diet, shower with a special soap, etc. Again, your NCGH surgical coordinator will provide you with precise detail on what time to arrive at the hospital on the day of surgery. Upon arrival for surgery, simply stop by the front registration desk and finalize any remaining registration paperwork and then you and your family member or significant other will be escorted to the surgery area. At this time, your coordinator and the pre-op nursing team will take over, helping to prepare you and make sure that you are as comfortable as can be. You can expect that your vital signs will be taken and a nurse will start an IV (Intravenous Therapy administering liquid substances directly into a vein). 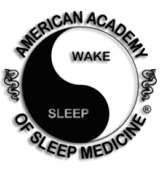 From here, the anesthesia provider will meet with you to discuss the anesthesia procedures. It is very important to discuss any past reaction to anesthetics or concerns you have at this time. Next, your surgeon will greet you and make sure that any remaining questions you have about your procedure are answered. It's very important that you remove any dentures/partials, jewelry, and contact lenses/glasses. After surgery, your doctor will meet with the family (if authorized by the patient) and discuss the outcomes. The patient will be transferred to the Post Anesthesia Recovery area. Here, a recovery nurse will attend to your needs and administer medication as ordered by the surgeon for pain. Once fully awake and recovered from surgery, you may be transferred back to the same area you were in prior to entering surgery, reunited with your family and discharged home or admitted to the in-patient floor as applicable. If discharged home, you will receive detailed instructions on proper diet, activity, pain control, dressing care, when to follow-up with your doctor, and information on possible side effects. If at any time you have a question about your surgery or any concerns about how you're feeling, remember, we are here for you.